Cheadle & District Animal Welfare Society is an organisation run entirely by a small team of dedicated volunteers who carry out the Society’s work in their spare time. Your enquiry is very important to us and we aim to respond to your calls/emails as soon as possible but please bear with us. Email correspondence is the preferred method if you can’t reach us immediately by telephone. We often get asked if we can provide placements as part of work experience programmes. Unfortunately as we do not have our own kennels or cattery we are unable to help with this. Sorry! We hope that you will want to keep in touch with us and for us to let you know when we have any events/activities that you may like to join us on. Email us at cheadleanimalwelfare@hotmail.co.uk. Please note we are not full time paid employees but just a few volunteers responding as quickly as we can in our free time. If you can help any of the animals in the care of Cheadle & District Animal Welfare Society please ring one of the following numbers: Please leave a message if we are unable to answer your call when you ring. We will aim to contact you as soon as we are able to. Please note we do not have our own kennel/cattery facilities and all our animals are boarded at private establishments. As such, appointments must be made before any of the animals can be visited. To notify us too or enquire about lost dogs and cats, please contact the Cheadle & District Animal Welfare Society Lost/Found Register on 01889 564045. ** Please remember to let us know if your lost pet has returned home safely so we can keep our records up to date. 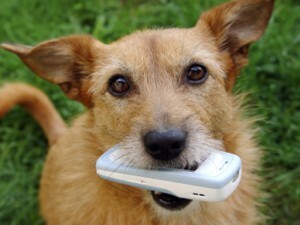 Micro-chipped animals can be identified and if lost can be quickly returned to you. If you move home PLEASE remember to inform the ‘microchip people’. Unclaimed animals coming into the care of Cheadle & District Animal Welfare Society will be found new homes. We do not destroy healthy animals. The Secretary for Cheadle & District Animal Welfare Society can be contacted on 01335 390369. The dogs and cats in the care of Cheadle & District Animal Welfare Society are taken to the Lime Trees Veterinary Surgeons for all routine and non routine treatments. Lynn’s Knitted Dog Coats. Knitting and recycling to raise funds for dogs. Do check out Lynn’s hobby website. She sells hand knitted dog coats to fundraise for dog charities. All profits go to smaller dog charities. The Cinnamon Trust- The National Charity for the elderly, the terminally ill and their pets. A national fostering service is provided for pets whose owners face a spell in hospital – volunteers take pets into their own homes until owner and pet can be reunited. The Cinnamon Trust also provides long term care for pets whose owners have died or moved to residential accommodation which will not accept pets. www.cinnamon.org.uk/home.php. Tel : 01736 757 900. They do rely totally on volunteers being available in an area in order to help anyone.